People who know me personally will know that I like running, and that for much of the past year I've not been able to do much of it. Following a minor operation and some recovery I was all set to start again. A couple of miles into my first run for a few months and I came to a grinding halt with sharp pain down one leg. After several sessions with a sports therapist it turned out that the pain was nothing to do with my leg but overly tight shoulder muscles and an old back injury playing up. In the physiotherapy world this is known as referred pain - when the source of the pain is felt in a different part of the body. 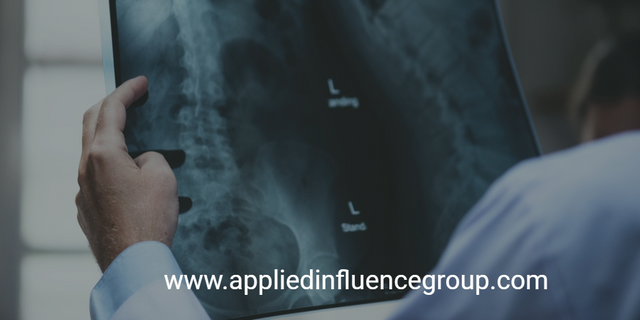 Often when we're trying to influence people, something similar to referred pain is happening. We look at where it 'hurts' and try to deal with that without really working out where the 'pain' is coming from. At an individual level this may be that what the person says about an issue doesn't reflect their real position. Either deliberately or sub-consciously they are masking what their real concerns are. For example, someone who is feeling overmatched by a task at work may give other reasons for why they can't complete your request on time rather than admit that they don't have the capacity. A client may tell you that price is the issue when actually they don't have the ability to implement the solution you are selling them. 'Referred pain' is even more common within an organisational setting where the source of the 'pain' is someone other than the person that we are dealing with. We may view the person that we are dealing with as a blocker to progress on an issue, when actually they are supportive but their manager isn't. It may be that someone else is influencing the person we are interacting with in a way that is at odds to what we are doing. Identifying the real source of the pain requires effective rapport and listening. We need to build the relationship with the person we are dealing with to a level where they feel comfortable revealing more personal or internal issues. If a client is telling you about internal politics relating to a project then you have achieved this level of rapport. If they are only going through the social ritual of asking you how your journey was before getting on with business then you probably haven't achieved that level of rapport. Empathy relating to the relevant situation can often help to build this rapport and reduce fear of criticism to a level where the person feels comfortable revealing personal concerns. Using narrative questions starting with 'tell', 'explain' or 'describe' can help to draw out the real source of an issue as they invite the other person to talk and don't focus the question in on a particular issue. Listen properly to the answers that you are getting back and the information that you need to really identify where the 'pain' is coming from. Often when we talk about the need to spend time understanding a person or a situation we get told that "We're too busy" or "That takes too much time". My counterargument is that if you are focused on the wrong issue or even focusing your attention on the wrong person then you are absolutely wasting your time. Investing time in finding out where the real 'pain' is can end up saving you a lot of time in the long run.